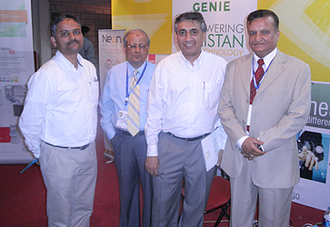 ITCN Asia was an IT exhibition and Neon availed this opportunity for getting public exposure. Neon team briefed the visitors about the Neon series. Flyers were also distributed at the stall, which was purposely retained for introducing financial equipment of the owner company. Second day proved to be more welcoming for Neon series that include eMotorcycles, eBicycles, and eTricycles. People turned back to the stall to know more about Neon. Some even showed willingness to buy Neon modes of transport. 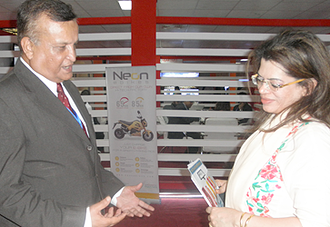 Many took keen interest to get to know about the efficiency, range and cost of Neon vehicles. Curabitur libero. Donec facilisis velit eu est. Phasellus cons quat. Aenean vitae quam. Vivamu sd nunc. Nunc conseq usemdw veld metus imperdiet lacinia. In viverra dolor non justo. Proin molest erat inder rhoncus posuere de nibh quam onsectet uer lectus acwl vulputate ligulad lorem dolor. Donec nunc. Suspendisse potent. Integer blandit massa sit amet condimentum laoreet diam elementum urna sed tincidunt lacus sapien. Why eBike and Test Drive?